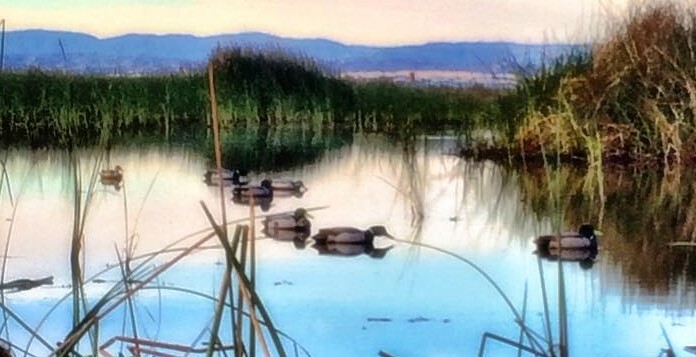 Our seasonal waterfowl blinds are located adjacent to both the Colusa and Delevan Wildlife Refuges in the heart of the Colusa Flyway. Three and Four Man blinds, ranging in price from $3,000 – $12,000 are available on a seasonal basis and all blinds are open to shoot every day of the week. Blind inquiries should be made in early spring to ensure availability. Please do not hesitate to contact us for more information about the properties or come see them yourself! We will be happy to show you around! Click on Ranch Name for More Information! 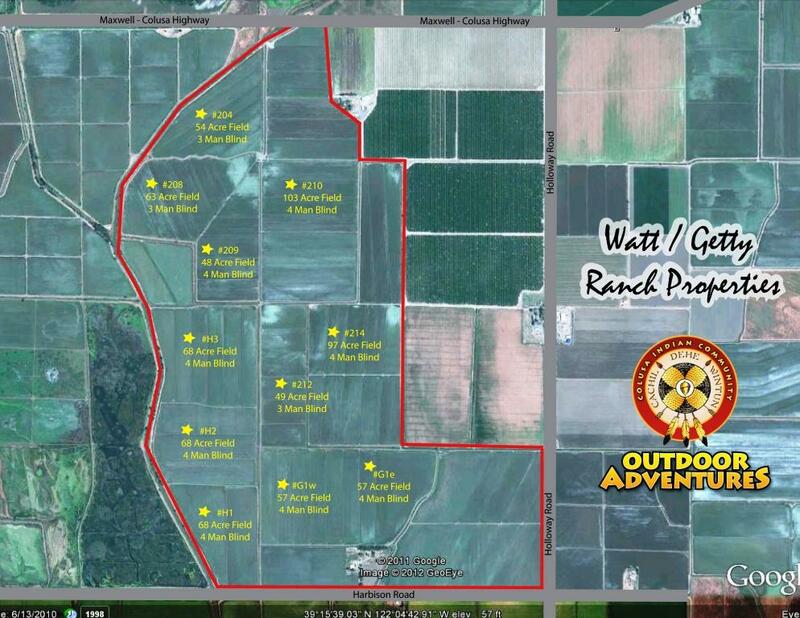 Our Watt Ranch Property is a 800 acre rice ranch with 13 ground blinds. The ranch is located south of the Delevan National Wildlife Refuge and is bordered by the 2047 Canal to the west. Bird traffic tends to be high on this property as the birds make their way from refuge to refuge. This ranch has district water but also deep wells to service every field when district water may not be available. Trailer parking with electrical and water hook-ups as well as ATV storage is also available at an additional cost and located on this property. 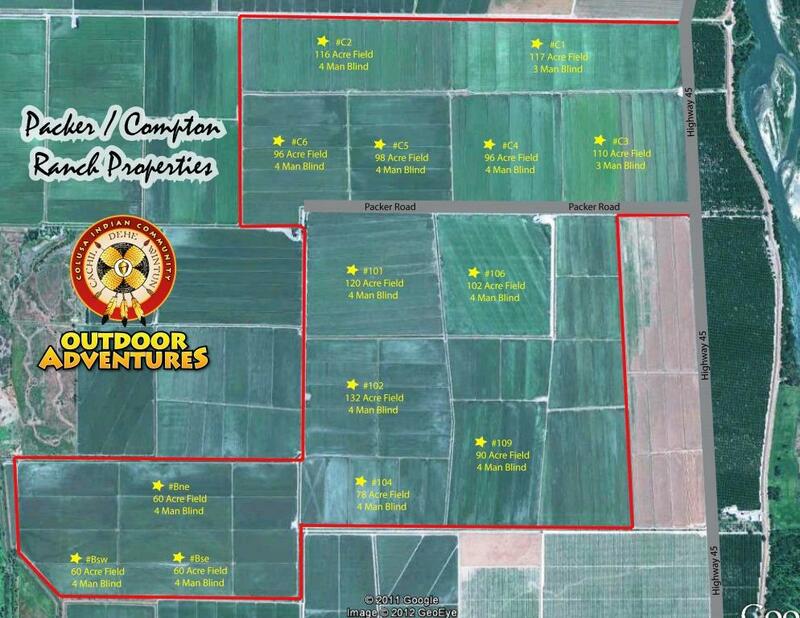 The Packer Ranch consists of 14 Blinds over a 1600 acre spread. The ranch is due east of the Delevan Refuge and spans from the 2047 Canal on its most eastern border to the Sacramento River to it’s most western edge. This ranch is smack dab in the middle of prime duck country and is set up with both riparian water rights and deep wells to manage water as efficiently as possible. SUV Access???? 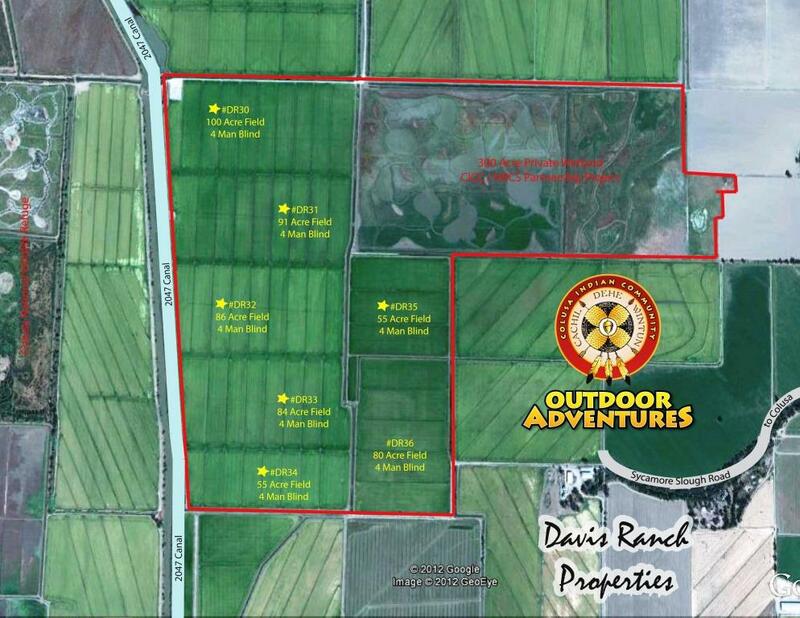 Our Davis Ranch Property is a 600 acre rice ranch outfitted with 7 pit blinds. The ranch is located south east of the Colusa NWR and is bordered on the west by the 2047 Canal. Our 400 acre private wetland habitat also borders the eastern edge of this property. This ranch is well known for its bird traffic consistency throughout the season. Parking and Accessability?? ?